How Do Rhine River Cruise Prices Compare? You are here: Home / All Inclusive River Cruises / Airport Transfer Fees / How Do Rhine River Cruise Prices Compare? 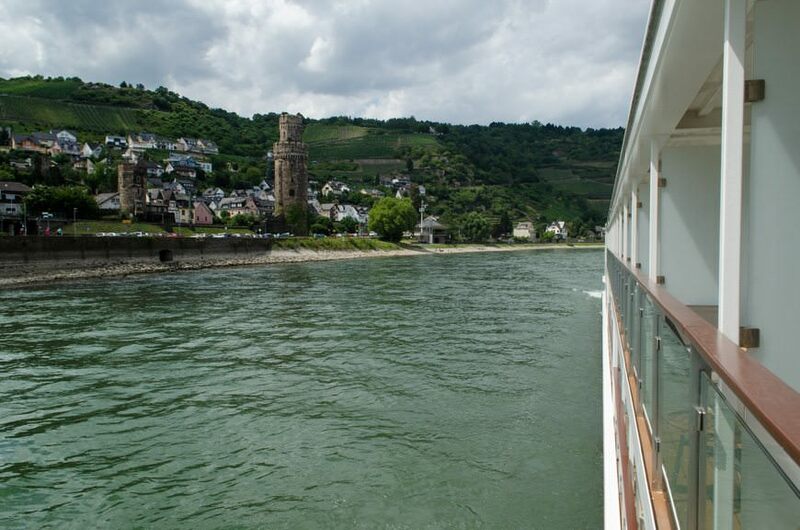 Cruises on the Rhine River are similar to the Danube in terms of popularity and are a favorite among travelers. All major river cruise lines have at least one itinerary on the Rhine, and most have more than one. Some Rhine River cruise packages are combined with other major European waterways, such as the Dutch & Belgian Waterways, Moselle, Main, Main-Danube Canal and the Danube. For this comparison, we’re going to look at lowest starting price for cruises between Amsterdam and Basel, which means the cruises may depart from either city. Some itineraries list Zurich (where the airport is located) as the starting or ending city, but the river cruise itself will begin or end in Basel. So how do Rhine River cruises prices compare among the different suppliers? The table below lists the lowest starting prices for major river cruise companies during the 2016 season. Since prices vary throughout the year, your fare could be significantly different for another month. Figures are based on information gathered in September 2015. Cruise fares are rounded to the nearest whole dollar. CroisiEurope From Amsterdam to Basel: The Treasures of the Celebrated Rhine River Amsterdam & Basel 9 $294 April & October Yes Gratuities are not recommended or expected. Grand Circle Romance of the Rhine & Mosel Brussels & Basel 15 $166 March & November Yes Gratuities to local guides and motor coach drivers in included. Please note that prices are subject to change. Also, your fare could be higher than the rates listed above if you choose another stateroom category, since figures are based on starting prices for Rhine River cruises. In the table, you’ll notice that some of the river cruise lines are listed as all-inclusive. This means that airport transfer fees, port charges and gratuities are bundled into the fare. Additionaly, all-inclusive cruise lines often have a more liberal beverage policy and some even offer private butler service. It takes time to compare itineraries to find the best fit for you. Sometimes, the all-inclusive packages provide the most savings – but not always. Finding the best deal often involves keeping your eye out for river cruise specials. You’ll find discounts throughout the year, mainly for cruises that are upcoming and still have some availability left. You’re also bound to find some deals when river cruise companies start rolling out itineraries for the next season. See other articles about the Rhine River. Do you have any comparisons for Vantage Cruises? Thank you. This is very interesting. Thanks for doing the research.